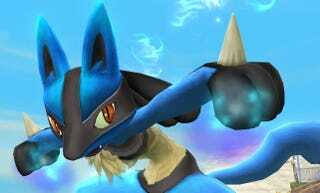 Lucario, The Badass Aura Pokémon, Is Returning to Super Smash Bros.
After debuting in Brawl, the high-risk-high-reward Pokémon fighter is now confirmed to be part of the new Super Smash Bros. for 3DS and Wii U. That's right. You just keep on being badass, Lucario.